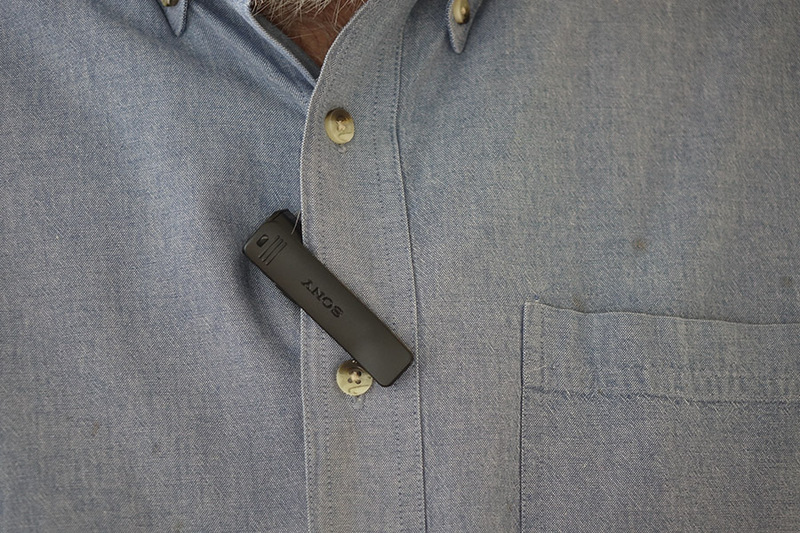 Well, there is, and for Sony users, it’s called the ECM-W1M Bluetooth Wireless Mic and it’s a little godsend for those of us who want to travel light and unobtrusively, and still get decent audio in a variety of situations. Canon makes their version and if you poke around, you may find others. The Bluetooth setup above (transmitter/mic and receiver) and a conventional wireless setup below. 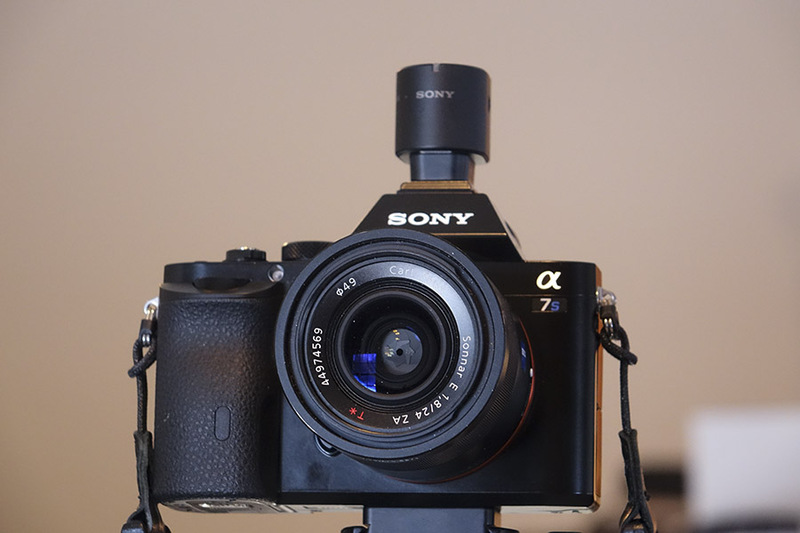 Size-wise, it’s a no-brainer…the little transmitter takes a AAA battery, the receiver connects to any Sony (including the RX100ii compact and several other compacts, as well as the A6000 and A7 series) that sports the Multi-Interface System (MIS). 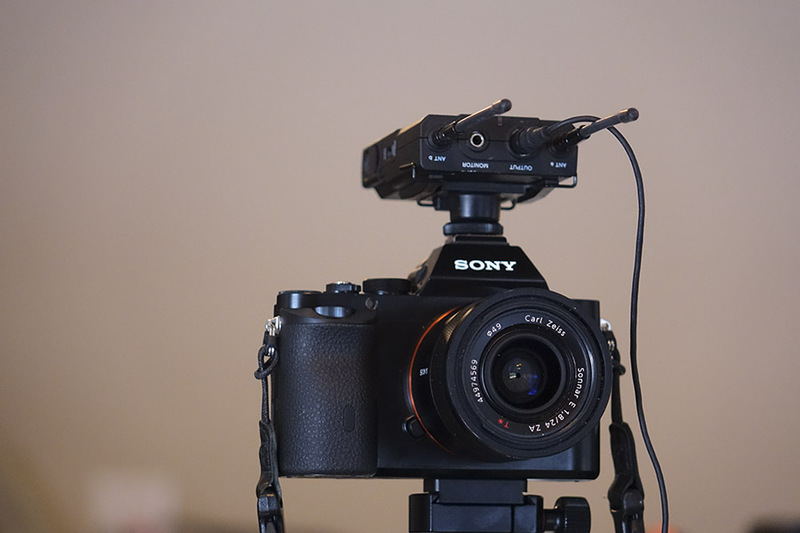 This is the only real choice for off camera audio for those Sonys, like the A6000 and NEX 6, that sport the MIS shoe, but have no audio input, so video-shooting owners of these cameras should take special note of this Bluetooth option. Now before we go another sentence into this, am I saying that this little setup is as good as a pro wireless system? No, not on your life. Let’s look at some of the disadvantages. 1. No volume control. 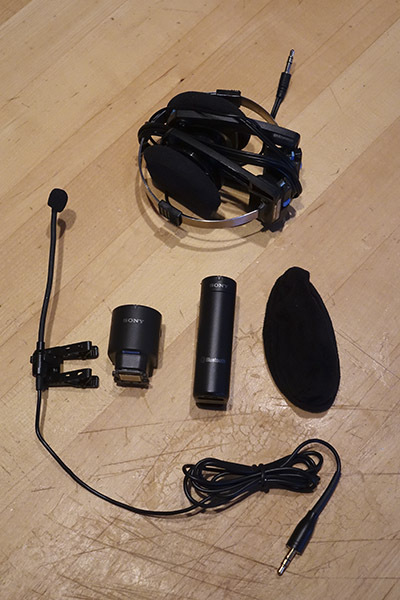 Yes, Sony lets the camera take over on almost any audio accessory that uses the MIS system (with the exception of their big pro XLR adapter). The good news is that it doesn’t behave too badly and you don’t get wild fluctuations in gain if the subject should happen to stop speaking for a moment. 2. 100 foot, line-of-sight range. You’re not going to be shooting across football fields with the Bluetooth setup. And if the subject turns away from you at a distance, or walks into building while you’re still outside, you’ll get breakup. 3. Hard to hide the transmitter. While the transmitter is about the size of a tube of lipstick, it is still substantially bigger than a little lavelier mic. And it can be hard to “hide” on your subject. The Sony model has a port for a lav mic, but most of my good lavs were just too “hot” and caused audio peaking. Well, it’s not as “hot” as my other lavs and it plays well with the Sony transmitter, and it makes it useful when you really want to hide the transmitter. And I’m happy to find a good use for this interesting mic, because my narration of the Actioncam videos of me having a night in the pub was just not helping those videos go viral! 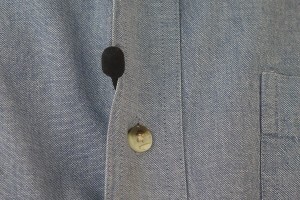 The transmitter isn’t exactly tiny, but it is easier hidden in coats and other outdoor clothing. I used this system several times on a recent trip to Bermuda and so far have been very pleased with the sound quality. And all of my gear just sailed past customs inspection, with me playing my role as innocuous photo-weenie senior citizen going on vacation with Streep-like verisimilitude:-). Of course all of this tiny gear wouldn’t be worthwhile if you needed gigantic headphones, and I’ve found that the Koss Porta Pro headphones are a great compromise between size and function (and apparently I’m not the only one because video production guru Jem Schofield, of the C47 blog, is also a big Koss fan, and he knows his stuff). So the Bluetooth wireless setup (with its cute little windsock windmuff for the transmitter), the Koss headphones, the SportsMyk and the mini-shotgun Smartmyk from MyMyk ride in my camera bag at all times. 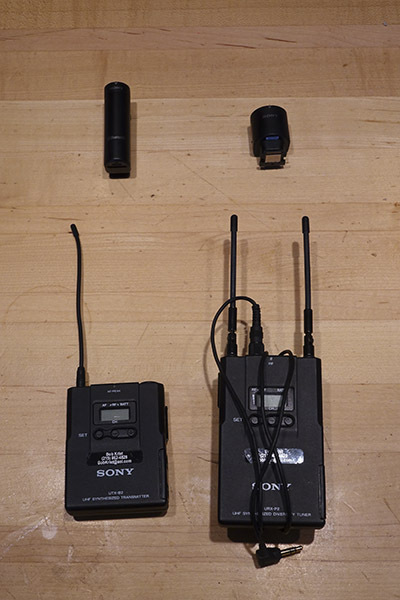 They add hardly any weight, but a lot of audio capabilities for my run and gun travel videos. Here’s the full wireless system, including the Koss headphones all folded up. Tip of the Hat to OMIM reader David Elfering for pointing out this system to me in the first place…David, I owe you a beer if we ever meet! Any other 200$-ish audio options outside of the ECM-W1M, I picked it up for my Sony A99 and A7, but the audio gain is pretty high and it grays out my volume option. Which someone on YouTube who has the ECM-W1M seems to be able to control according to the response he gave me to my question. Not that I know of, Josh. Yes, this one overrides manual, and it does seem to come in pretty hot, but it hasn’t been a problem for me unless I tried using some of my good lavs plugged into it…then it got crazy hot and peaked out a lot. The SportsMyk is designed to be less sensitive (it’s supposed to be clipped to your helmet visor or goggles to narrate your GoPro or other POV cam videos and ride right close to your mouth). 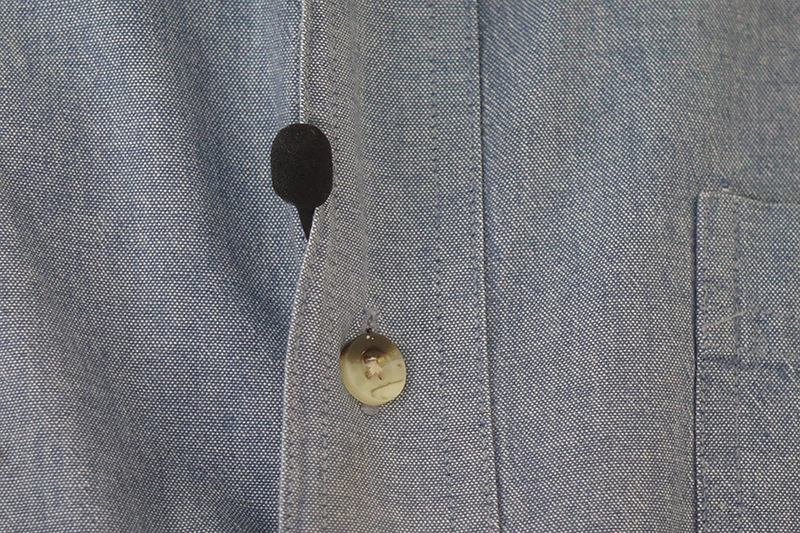 But I found it was okay clipped on someone’s shirt.